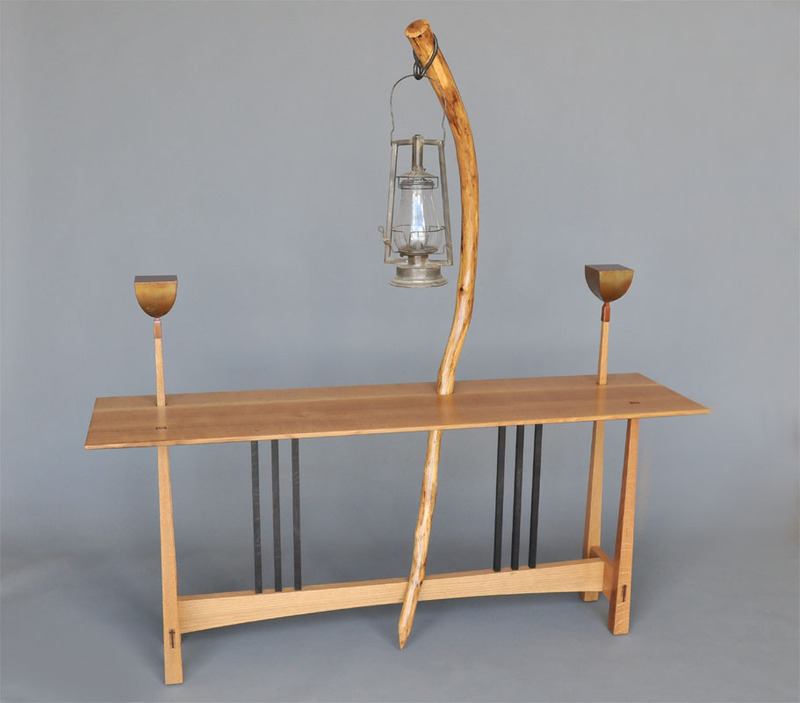 Quarter Sawn Oak, Ebonized Rungs, Scrub Oak Pole Holding Antique Lamp. Steel Candle Stands on Either Side. 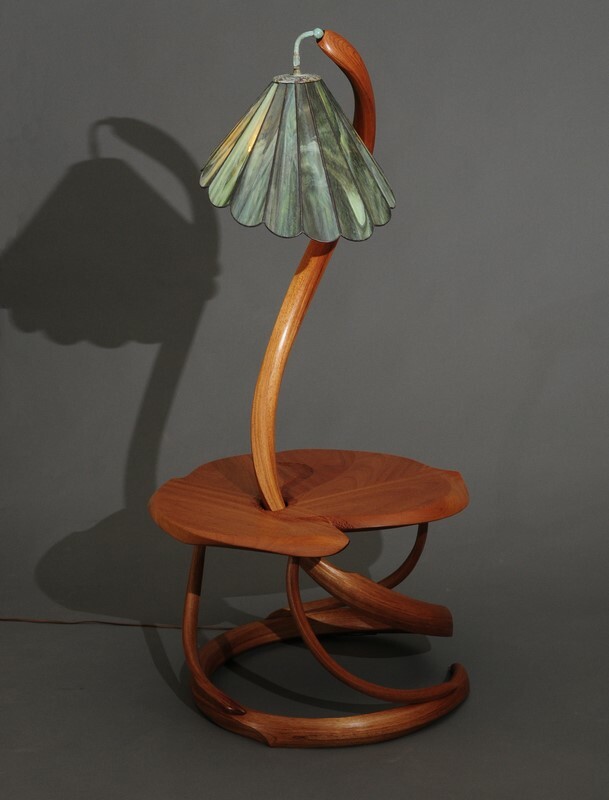 An Arts & Crafts style piece, perfect as a hall entry table. 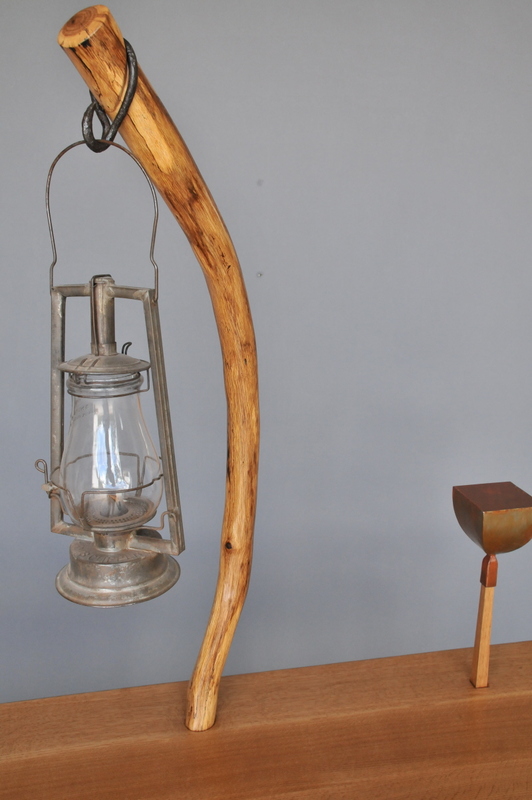 Initially inspired by some scrub oak I found growing in the woods, which now penetrates through the surface to hold the lantern.- piercing the darkness with light..